Continuing our series of opportunities to get to know our residents a little better, this week it’s the turn of the down to earth and homely Agnes Chambers. 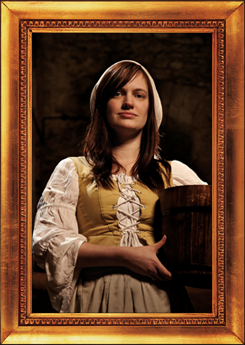 Agnes Chambers is a maid of the prominent merchant burgess, Alexander Cant. She will be able to regale you in stories of this household, and even perhaps a wee bit of gossip. Click on here to see what Agnes has to say and perhaps even get a wee discount for your next visit!